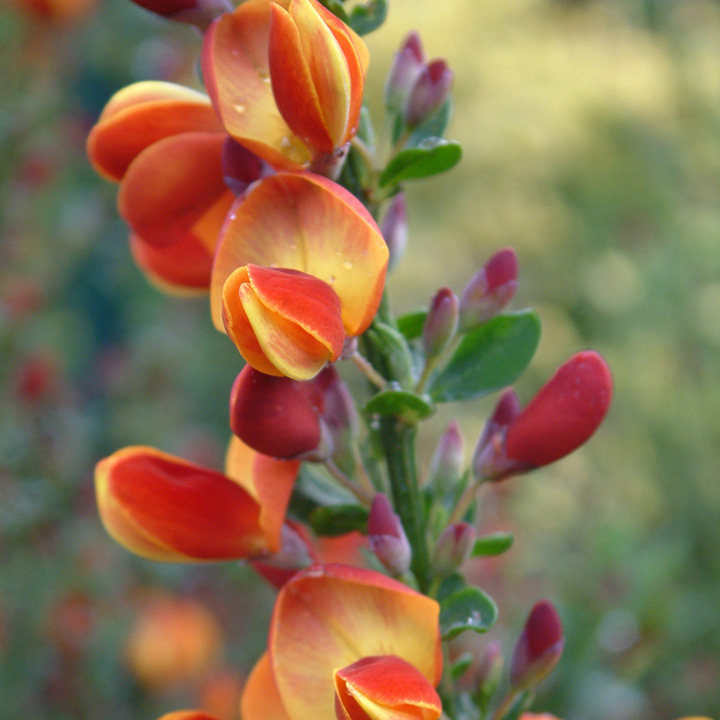 Cytisus 'Lena' is a lovely compact variety of broom, reaching just 1.2m in height. It has masses of vibrant red and yellow flowers in the spring. Grow as a feature shrub or even as a low hedge - it has a spreading nature making it an ideal hedge. Grow cytisus in well drained soil in a sunny position. It can be pruned after flowering (which encourages the plant to grow to a specific shape as it does not waste effort producing seeds). Supplied in a 3 litre pot. Ideal for beds and borders, rockeries. Prefers full sun.